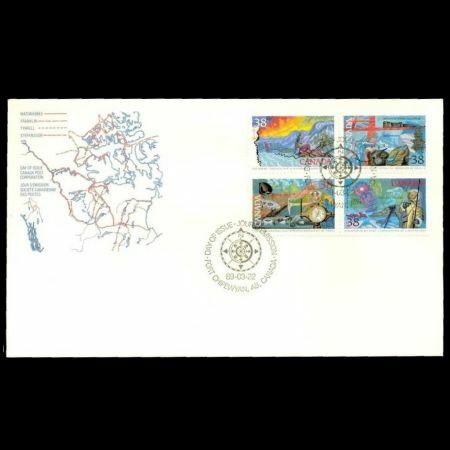 Canada 1989 "Exploration of Canada, Realizers"
Even today, the Canadian North can appear remote and forbidding. 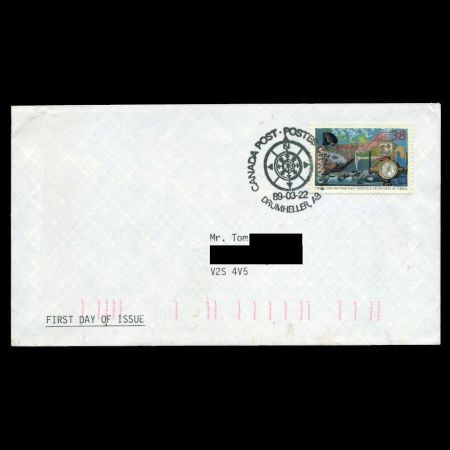 The last four explorers in the Exploration stamp series traversed lands and waters where few now dare to venture. Matonabbee was a famous Chipewyan Indian Leader. Strong personal qualities, added to his knowledge of the English language and of the land, made him one of the best guides. He led Samuel Hearne's expedition of 1770-72 to the Coppermine River. 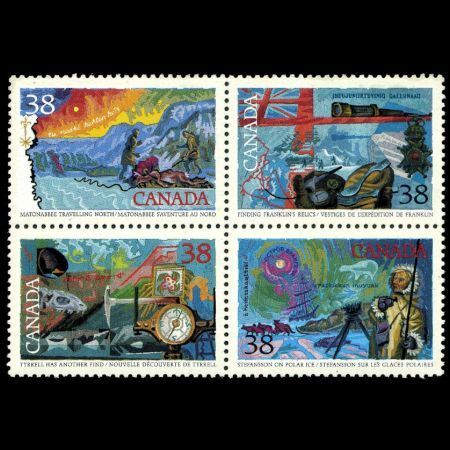 Frederick Hagan of Newmarket, Ontario, created these four stamps, the last in the series on the Exploration of Canada. Maps of the voyages of exploration are highlighted and some of the salient features of the expeditions are shown to give a feeling for the harshness of the conditions endured by the explorers.